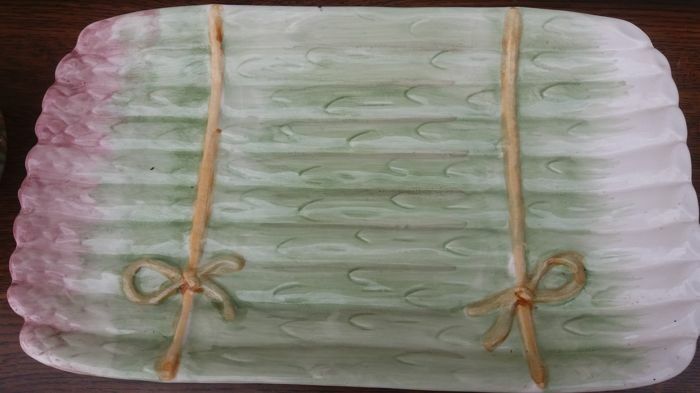 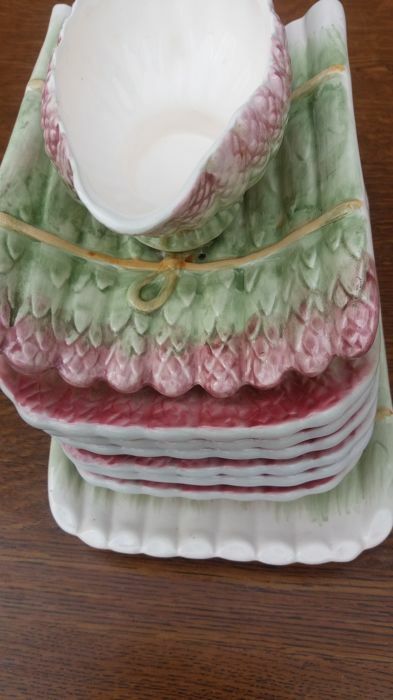 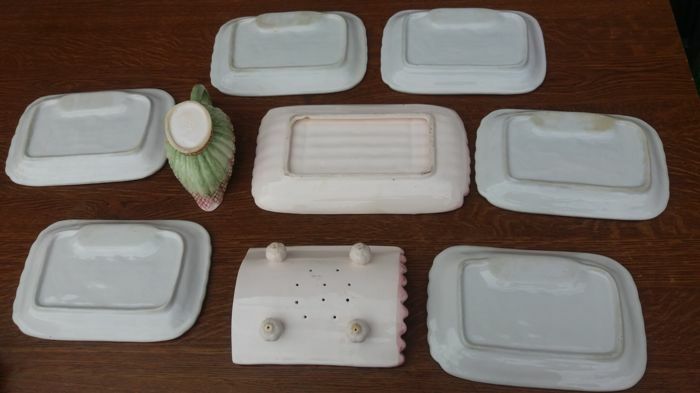 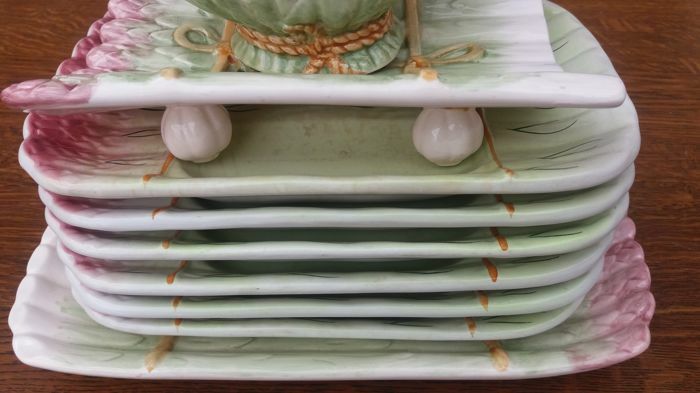 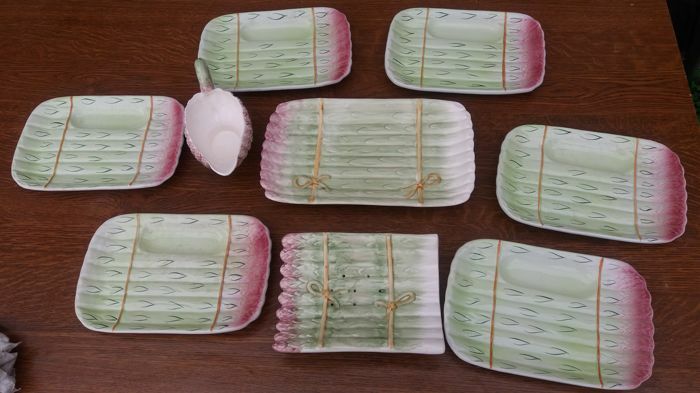 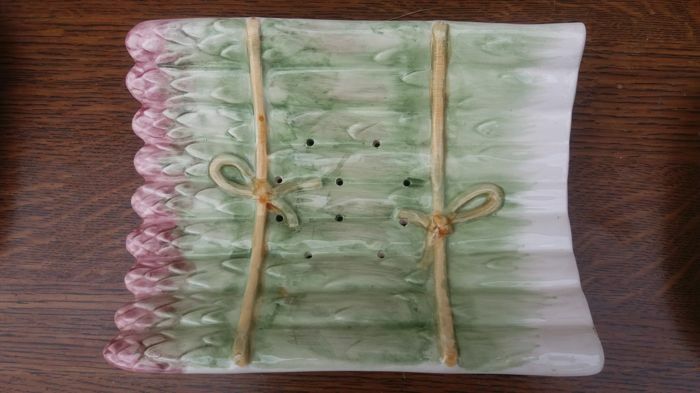 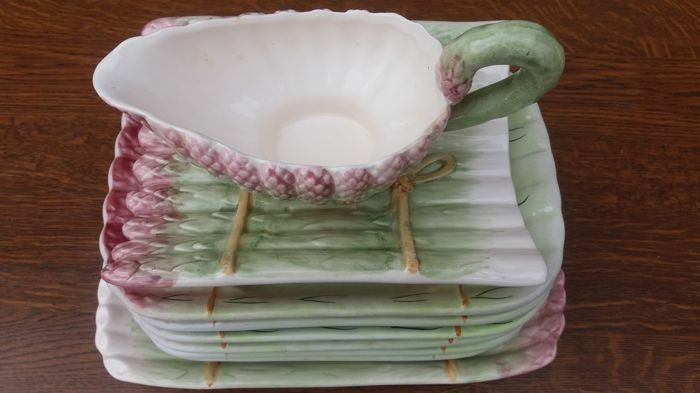 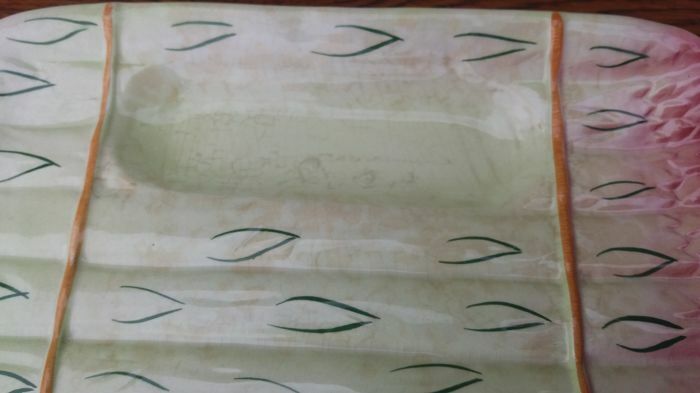 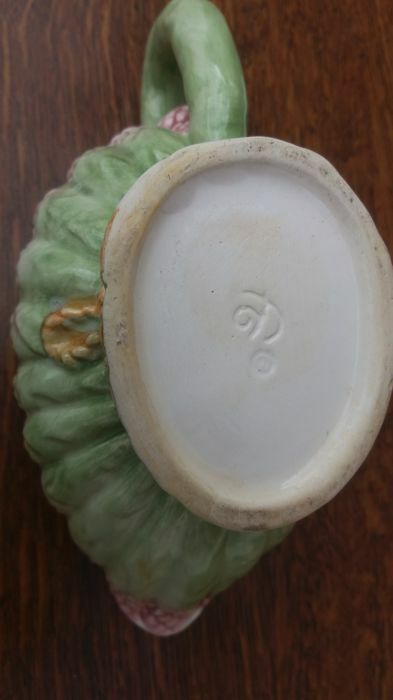 A fine porcelain asparagus draining plate with a plate. 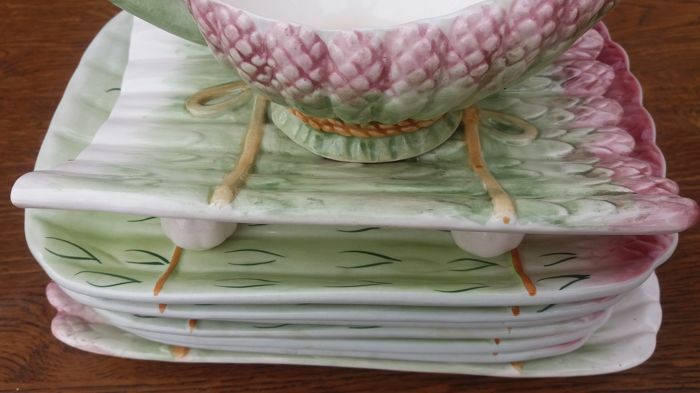 The support has short legs and is placed on top of the drip plate. 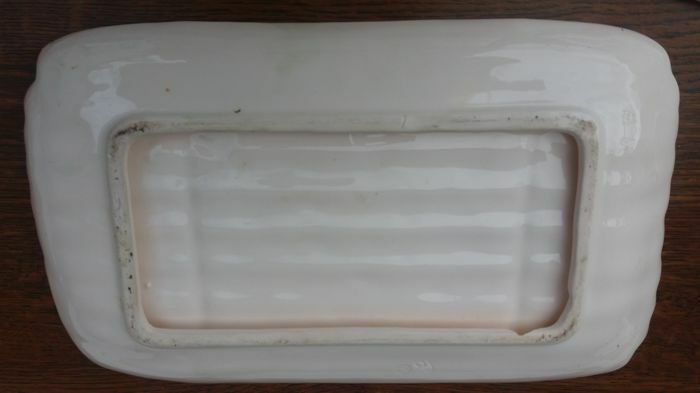 Size of the plate with drainer: 31 cm x 18 cm. 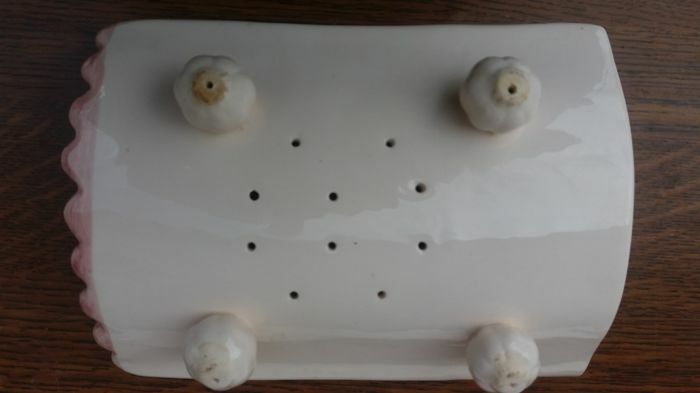 The support is 21 cm x 15 cm. 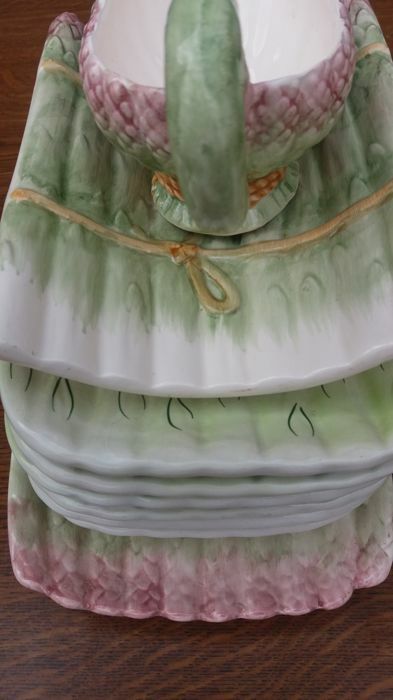 6 plates of 25 cm x 16.5 cm. 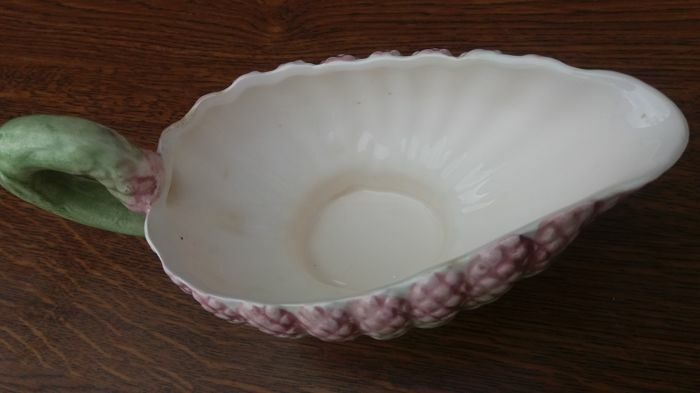 1 sauceboat: 20 cm x 9 cm. 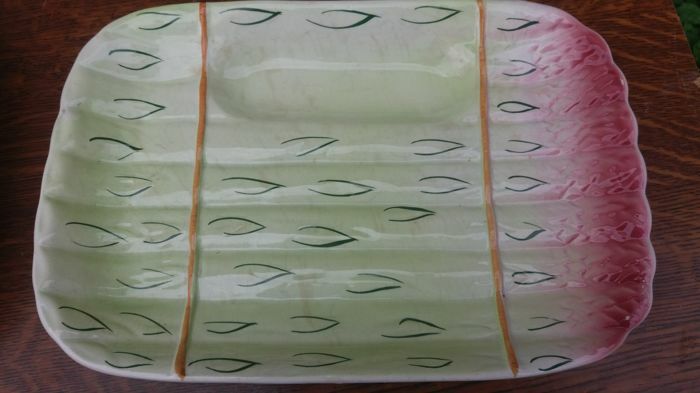 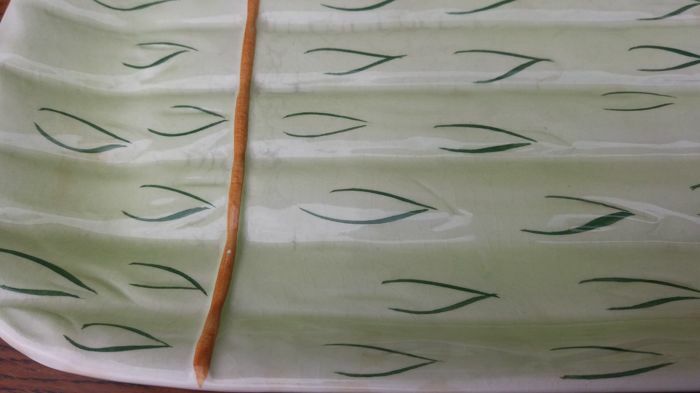 Both beautifully varnished in shades of green and pink on a creamy white background. 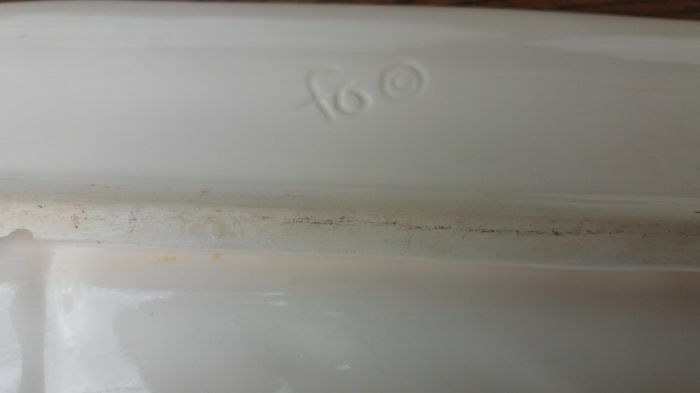 Hallmarked under the plate and sauceboat.